When you hear the word “safari” you immediately think of the Masai Mara, the Serengeti or the Kruger National Park. However, the official dictionary definition of the word “safari” is “an expedition to observe or hunt animals in their natural habitat.”So why not explore the offshore wonders of the Indian Ocean from White Pearl, Mozambique – where a somewhat different but equally magical adventure awaits? For just a quick taste on the wonders that await at White Pearl click here. Set on two kilometres of magnificent, pristine Mozambican coastline, White Pearl is an intimate resort for the discerning traveller. Couples or families will revel in the luxury, hospitality, delightful cuisine and natural wonder of this beach paradise. 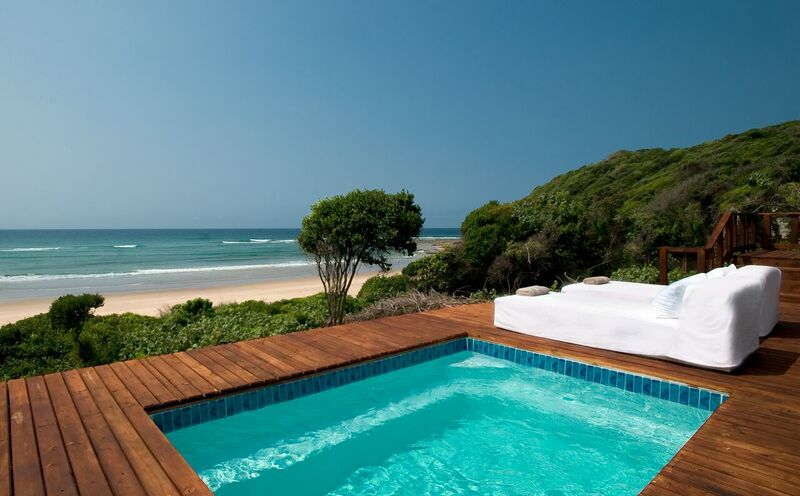 Whether you want to adventure on or under the cobalt Indian Ocean, lounge on the beach, sip cocktails in the pool or simply soak up the soothing peace of the sea, White Pearl, Ponta Mamoli offers the ultimate luxury beach holiday. However should you seek boutique natural marine experiences there can be no match for this rare outpost. The main areas at White Pearl seem to rise seamlessly out of the earth. The décor is fresh, white, blue and light earth tones. 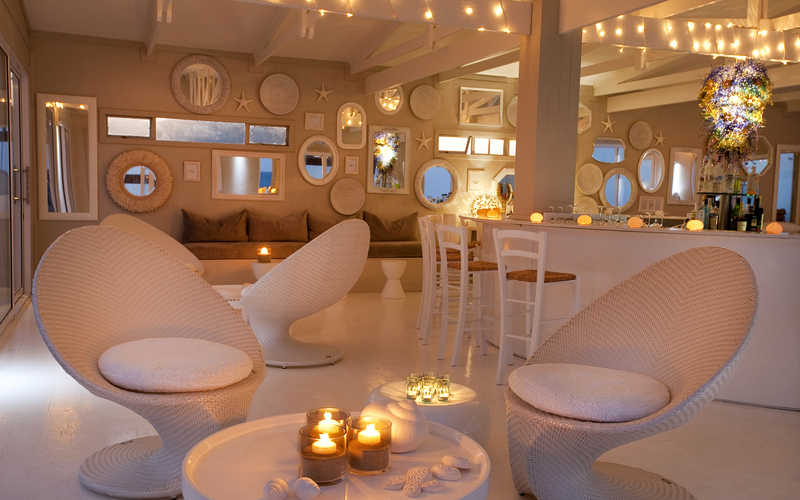 You could read in the sumptuous comfort of the Beach Bar while you sip on a delicious cocktail, the sea crashing outside. For solar therapy, you could lie on one of the over-sized day beds that line the expansive decking next to the huge infinity pool. When you need to cool down you can simply roll into the crystal pool or wander down the healing waters of the Indian Ocean. When the weather closes in or the heat becomes a little too much, you might like to retire to the gentle comfort of the lounge where coffee table books, soft sofas and panoramic views of the ocean await. There are 21 beautiful, private and simplistically opulent suites at White Pearl. Six of these open seamlessly onto private beaches while the others are raised above on stilts offering astonishing panoramas of the ocean and the glorious Mozambican sunrise and sunset. Each suite boasts generous decking with a view, private plunge pools and enormous bedrooms looking out through glass doors to the ocean. The large bathrooms have double vanities and outdoor showers. Soaking in the bath while looking out over the ocean as the moon lifts from the eastern sea must rank as one of the most profoundly inspirational experiences imaginable. You should also treat yourself to a luxurious spa treatment in the privacy and comfort of your suite. 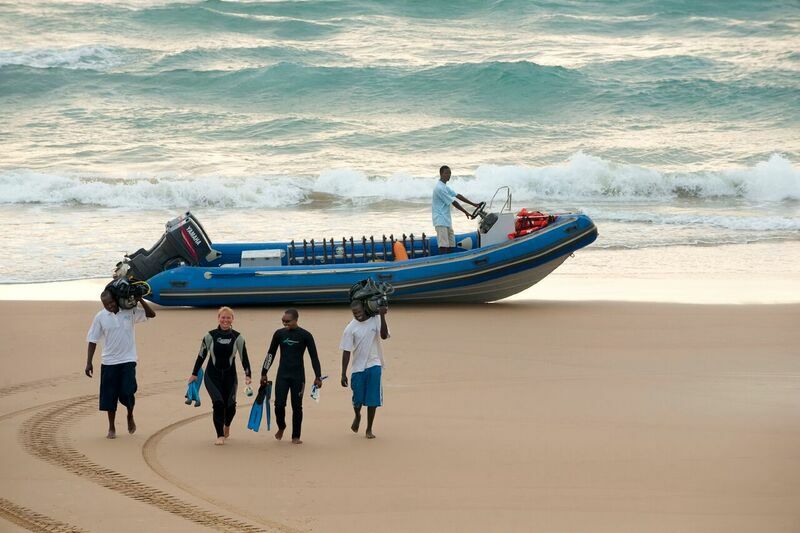 Ponta Mamoli offers an array of exciting marine activities, many of which are not available anywhere else! The whole beach is part of an enormous marine reserve and offers some unique opportunities. You can step straight off the beach under the waves and snorkel above the reefs of sealife that abounds in the rock pools and shallows. 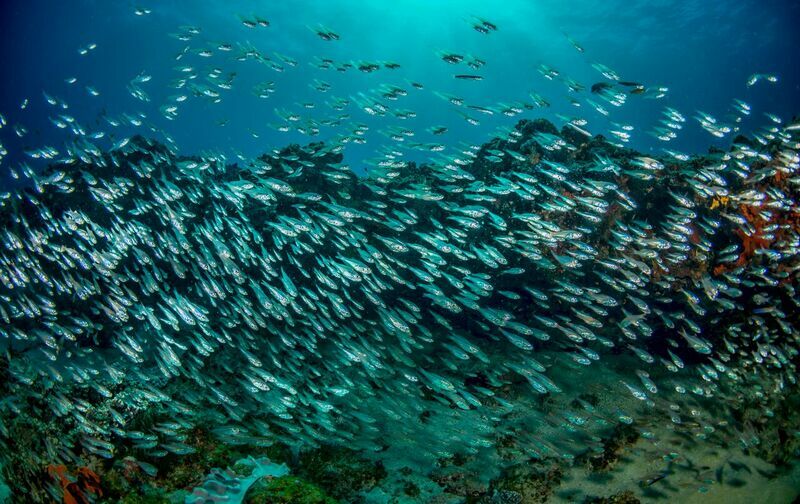 You might prefer to dive down to the reefs and to enjoy the plethora of gorgeous fish life swimming in amongst the coral. 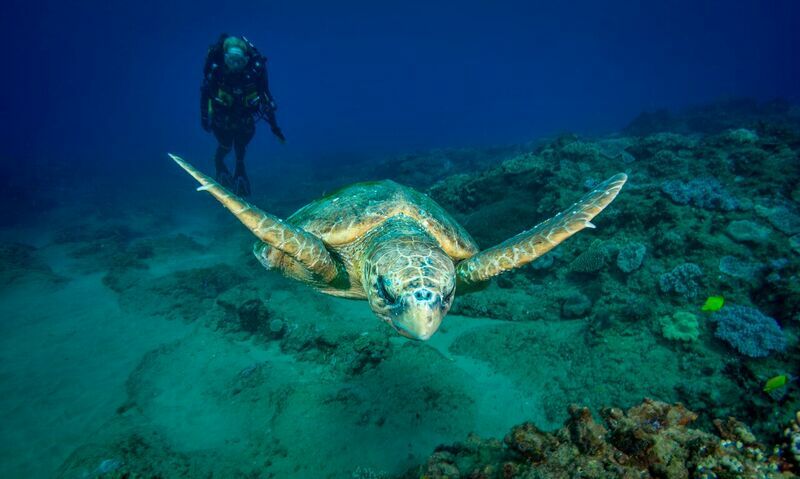 If you are not a diver yet, highly skilled dive instructors will introduce you to wonders of the deep. Otherwise you might like to kayak in the open ocean or explore the remote coastline. If it is your bent, you could jump on a deep-sea boat and head out for some of the most spectacular game fishing that this coast has to offer. 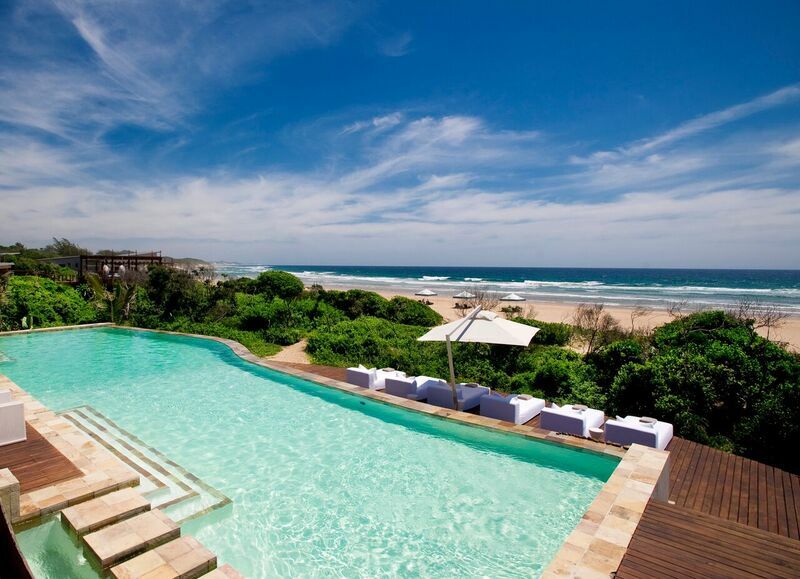 As the day draws to a close, you might like to jog along the limitless coastline before a late afternoon swim – Ponta Mamoli offers you a 99 percent chance that an afternoon or morning swim will be in the company of a pod of dolphins – surfing in the waves next to you. There is also an excellent chance to see migrating humpback whales from July to October – either as you stroll the beach or recline on your deck. 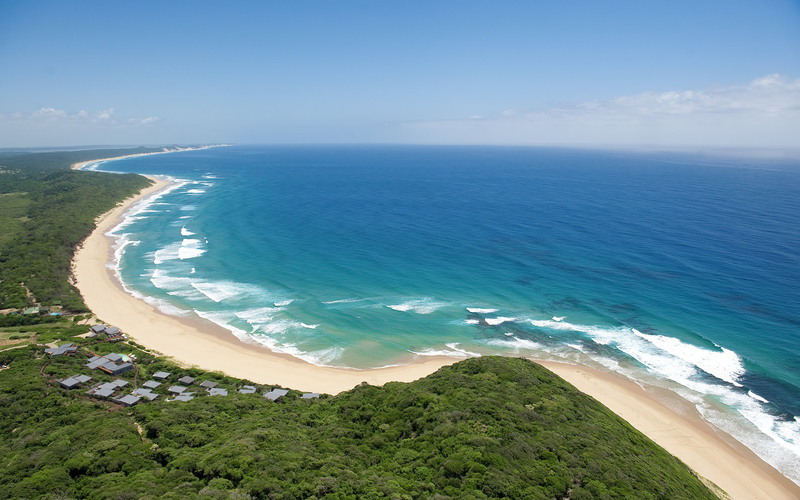 Back on land, you can explore the verdant coastal bush and beach sands on horseback – galloping through the dune forest paths and up onto the epic ocean view points. Your ride might end with a gallop through the low-tide surf. White Pearl is the only resort in the area with a licence for horses. 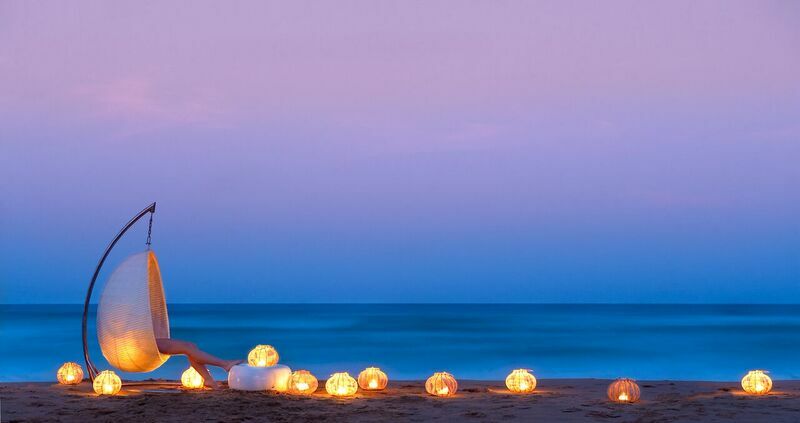 At night you could be lucky enough to see loggerhead and leatherback turtles nesting (December to February) – an experience of primal humility. When you wake up, wander over to the White Pearl restaurant where platters of tropical fruits and fresh pastries will fuel you for a day of fun and adventure. 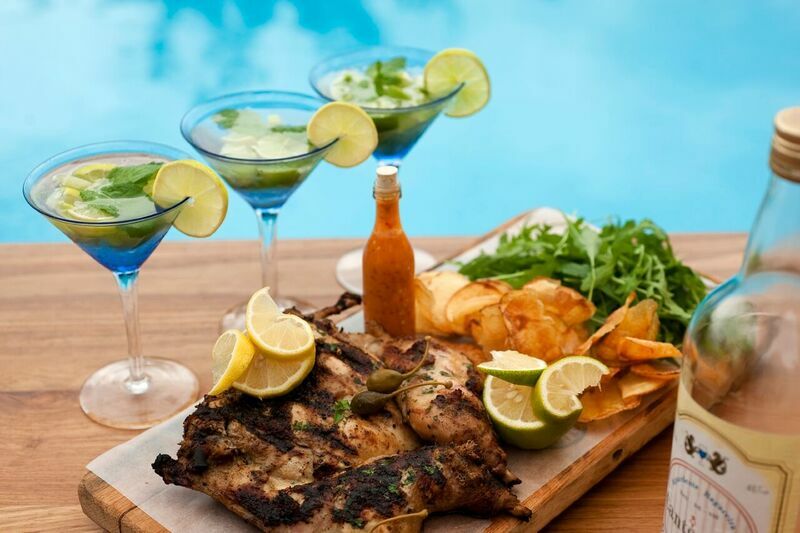 After a refreshing snifter at the pool bar savour a light lunch of just-picked salads and light tapas. After an afternoon of exertion or doing nothing at all, your dinner will be a scrumptious Indian Ocean seafood affair, either candlelit on the beach or in the privacy of your suite. Please let us know if you have any questions at all about booking a once-in-a-lifetime, African Ocean Safari.